"The Need for Data Access Governance"
Data access governance forces companies to look internally and figure out the quintessential building blocks that may have gone unturned for a long, long time. Access governance across File Systems is now achievable, and it should be expected that each and every company achieve it. This insightful paper shows the steps to implement the ideal model of gaining visibility, zero impact migration and ongoing governance to mitigate the data access governance issue of your organization. •Gain a complete and accurate understanding of how file system access is configured in your current data access governance model. 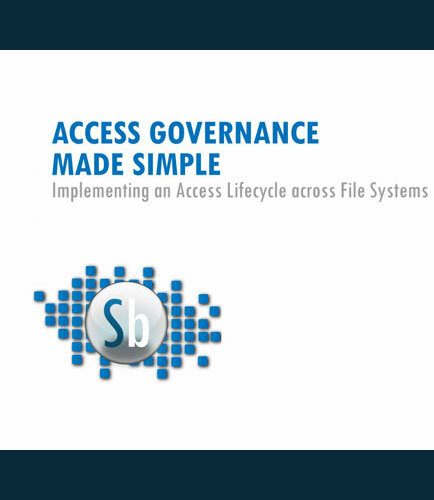 Download this whitepaper that describes an approach to implement a self-sustaining access governance system that will provide complete control over data access and a methodology to adopt this system with zero impact on business operations.